This film is a 2015 British comedy from director John Madden (Killshot, Best Exotic Marigold, Shakespeare in Love). The screenplay was written by Ol Parker; the film stars Richard Gere, Judi Dench, David Strathairn and Bill Nighy. The film's story begins with Sonny Kapoor who is juggling his grand Indian hotel, the Second Best Exotic Marigold, a hectic work schedule, devotion to his lovely wife, and a new building project he intends to create for the elderly. He must also manage the long staying occupants of his hotel, mostly elderly people who have come to spend their final years in India. But when a handsome stranger turns up everything starts going sideways. 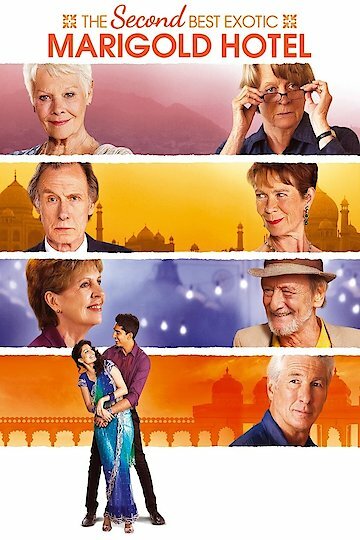 The Second Best Exotic Marigold Hotel is currently available to watch and stream, buy on demand at Amazon, Vudu, Google Play, iTunes, YouTube VOD online.